Everyone is most welcome at the Vedanta Centre, for Yoga or Personal Development; Whether you are a﻿﻿ complete beginner or looking for something very specific﻿﻿. Working deeper involves becoming quiet, slowing down and eventually stilling the mind. Silence is golden. The reward is using yoga as a form of self-healing at the mental, emotional and spiritual level. The beauty of yoga is that this process happens by itself and unawares one start to search for quiet times. We understand that everyone is an individual with different needs at different times in ones life. Our mission to be able to provide for that “need” as it arises. This is achieved by providing a multi-disciplinary approach, offering a large variety of Classes, Courses, Workshops and Retreats. 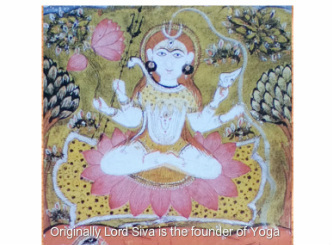 Apply both traditional and modern methods in our approach to Yoga and Personal Development. The Vedanta Centre is a fusion of Eastern and Western methods of Personal Development. We offer 250 sq.metres of modern, state of Art facilities, "the right space for this to happen". The Vedanta Yoga Centre is run by Peter, who studied Yoga since 2005 in Zurich and India with his teacher Mansoor and he is now based in Limassol. Peter has been teaching Yoga since 2008 in Switzerland and Germany. At the Vedanta Yoga Centre we work in a unique way in our Asana practice (see also Meditation section). This has evolved following the teachings of the above mentioned teachers. The synthesis of the above brings about effective healing at all levels, Body, Mind and Spirit.